500 BIB NUMBERS SOLD OUT! 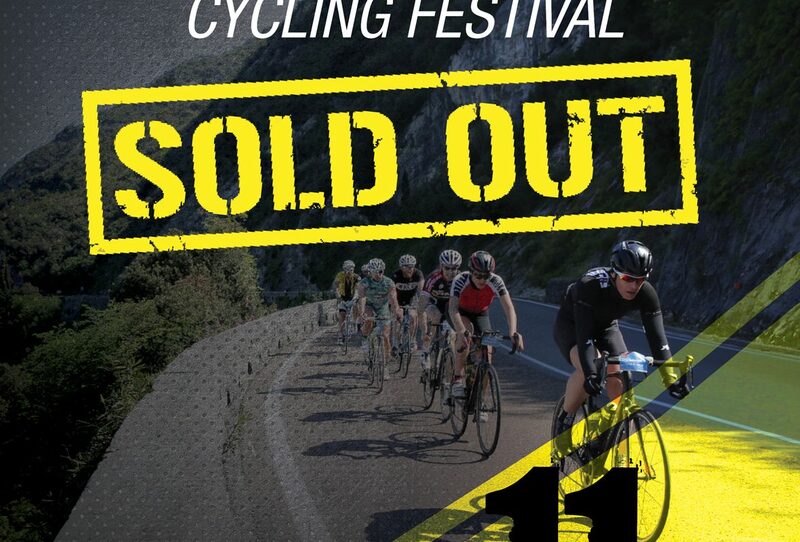 Third registrations’ opening for Colnago Cycling Festival has been a success! 500 bit numbers available were SOLD OUT in a few hours and a lot of them flew abroad. The forecast for the three-days event signed Colnago, that will take place at Desenzano del Garda on 5th, 6th, 7th April 2019, is really really good, on the basis of the last results. October 4th 2018, ore 21.00 – Opening for 1000 bibs – SOLD OUT! November 2nd 2018, ore 21.00 – Opening for 500 bibs – SOLD OUT! December 6th 2018, ore 21.00 – Opening for 500 bibs – SOLD OUT! If you don’t have a license recognized by the UCI, we remind you that, for the Italian Ministry of Health’s decree, it is possible to take part in Italian cycling races only with a sport medical certificate for cycling competition (you can download the form here: www.colnagocyclingfestival.com/en/organization-and-registration/). If you need any clarifications, you can contact and write us by email at info@granfondocolnagodesenzano.com! If you want to keep up to date, visit our website www.colnagocyclingfestival.com and follow Colnago Cycling Festival on social networks!